Richard Phelps' Lifestream: Mixtapes - are they back? Mixtapes - are they back? I put a post out on Twitter a little while ago about Mixtapes. I still reckon they're on the comeback. I have no evidence, and if I go digging I'd probably find some interesting stat about how the hip hop community is using the web to share mmore mixtapes than ever = a movement etc, but I'm finding that I really enjoy the challenge of thinking about the songs to include on a mixtape. 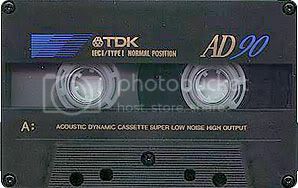 No more ACTUAL cassettes mind you, but fantastic websites like Soundcloud, the awesome Mixcloud or even Mixtape For You are brilliant different flavours for compiling them, and sharing with friends. Downloading to iPods are an obvious benefit as they serve just like a podcast. I, of course am all about retro, so I have an mp3 walkman player to download and play on. Yeah, that's how I roll. The mixtapes were and still are, themed. I enjoyed DJ Jazzy Jeff's Summertime Mixtape earlier this year (for the US summer) so much so, that I created my own mixtape to kick off summer. I've since created a dozen of these for another blog/podcast I write for, and have covered ground like a mixtape for the Chilean miners - the Melbourne Cup mixtape, or Auckland becoming a supercity with my Supercity Mixtape. I say, Mixtapes are back! As mp3s, but they're back! If you give it a go, hit me with the links!